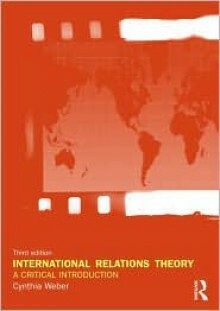 The third edition of this innovative textbook introduces students to the main theories in international relations. It explains and analyzes each theory, allowing students to understand and critically engage with the myths and assumptions behind them. Each theory is illustrated using the example of a popular film.Key features of this textbook include:discussion of all the main theories: realism and neo-realism, idealism and neo-idealism, liberalism, constructivism, postmodernism, gender, globalization and environmentalisma new chapter on environmentalism, climate change and Al Gore's An Inconvenient Truth including use of the film WALL-E innovative use of narratives from films that students will be familiar with: Lord of the Flies, Independence Day, Wag the Dog, Fatal Attraction, The Truman Show, East is East, Memento and WALL-Ean accessible and exciting writing style which is well-illustrated with film stills in each chapter, boxed key concepts and guides to further reading.This breakthrough textbook has been designed to unravel the complexities of international relations theory in a way that gives students a clearer idea of how the theories work, and of the myths associated with them.